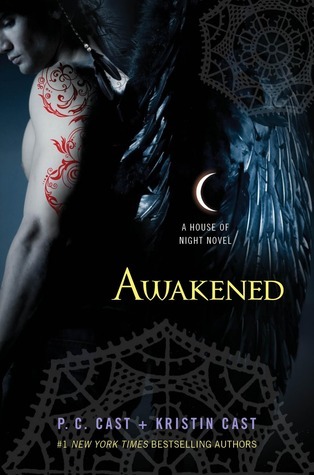 At the start of Awakened, the pulse-pounding eighth installment of the bestselling House of Night series, Zoey has returned, mostly whole, from the Otherworld to her rightful place as High Priestess at the House of Night. Her friends are just glad to have her back, but after losing her human consort, Heath, will Zoey – or her relationship with her super-hot Warrior, Stark – ever be the same? Stevie Rae is drawn even closer to Rephaim, the Raven Mocker with whom she shares a mysterious and powerful Imprint, but he is a dangerous secret that isolates her from her school, her red fledglings, and even her best friends. When the dark threat of Neferet – who is coming closer and closer to achieving her twisted goal of immortality – and Kalona returns, what will it take to keep the House of Night from being lost forever, and what will one desperate girl do to keep her heart from being irreparably broken? Since this amazing cover released yesterday, I had to use if for this weeks wow. House of Night has become one of my favorite guilty pleasure reads. I can’t wait to see what happens with Stevie Rea & Rephaim. Who do you think that is on the cover Rephaim(in his human form) or Kalona? Ok, everyone is saying Rephaim, that was my guess. A lot of people seem to love the House of Night series, I'm thinking I should start reading it, too! The last vampire series I read was Twilight, and maybe it's time I start reading this kind of books again 🙂 That cover is gorgeous! I haven't read any of this author's books, but they certainly are popular. Alas…so little time for all the great stories… Thanks for the recommend. Let's wait togehter and hope it turns out as good as Burned( my fav part so far). Happy reading! LoL, we have the same WoW too. I saw on FB it was Rephaim, although I thought it was Kalona at first. Can't wait! I’m excited about this one too. The cover is awesome! This book is a popular choice to day. I hope when you get your book, that you will enjoy it as much as you hope to. Wanna see what I am Waiting On Wednesday for? This is also one of my fave series! I would like to say its Rephaim! This seems to be a pretty popular series… I have the first one and i haven't got to it yet. Hopefully soon. Great pick!! Thanks for stopping by earlier!! I have read the first one in this series and then moved on to something else. I need to get into the rest. Thx for sharing. Hope you come by and see my WOW! I have enjoyed this series. Love the cover! Can't wait for this one too. I love the cover and I'm really hoping that is Rephaim in his human form. =) Great pick!!! The cover looks like it's Rephaim!! I am excited on that alone. Rephaim and Stevie Rae and Stark are the main reasons i am keeping up with the series. Zoey has been getting on my nerves for the past several installments!! This one looks AWESOME! Thanks for stopping by my blog yesterday!